Come and enjoy a five star Pattaya Boat Charter with Pattaya Yacht Charters Co,. Ltd. Here at PattayaBoatCharters.com we have a fleet of spectacular boats such as Speedboats, Motor Cruisers, Motor Yachts, Sailing Yachts, Catamarans, Fishing Boats and even Party Boats which are all available for private hire right here in Pattaya Thailand! We also offer an awesome join-in Pattaya Boat Tour as an alternative to private boat hire for those who do not wish to hire an entire boat. 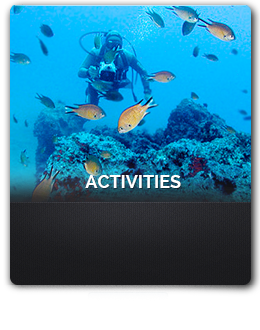 Additionally we offer a wide variety of exciting activities that will surely satisfy even the most adventurous. Simply put we offer Pattaya’s best boats, the best equipment,the best activities, delicious food and exceptional service - all at incredibly affordable prices! Please take a look around our site. Click on a boat that takes your fancy and see the details of the trip that is unique to each particular boat. Our philosophy is simple - To take you to amazing places that others don't, so you can experience an island the way it's supposed to be, without all the tourist trappings. Whether it is a day filled with water-sports action, snorkeling or perhaps a chilled out cruise to various deserted beaches or the Monkey Island, here at Pattaya Yacht Charters we offer a wide range of activities and you will find exactly what you are looking for! Pattaya Islands Tour. VIP Speedboat Charter to Pattaya's Best Islands! We also offer an incredible join-in Pattaya boat trip which is a VIP speedboat tour for more than one party at a time, as an alternative to our private charters. Our awesome Pattaya Islands Tour is an action packed speedboat tour on the elegant Princess Benedicte or Pattaya’s fastest speedboat the Great White! Enjoy our Pattaya Islands Tour to 5 Incredible Destinations and see why we are by far Pattaya's best VIP speedboat tour company. Massively increase your chances of a successful catch by deep sea fishing with the professionals. For the serious fisherman ,who would like to catch some big game fish we have a range of dedicated deep sea fishing charters available. Upon all of our deep sea fishing charters you will use the finest fishing equipment and most importantly you will be fishing with expert captains whose local knowledge is second to none. If you’re not interested in a full day’s serous deep sea fishing but would still like to put some rods out and enjoy some fun-fishing then your wish is our command. Fun fishing for pan sized fish can be enjoyed upon almost any of our boat charters upon request. You our guests are our number one Priority. We are proud that many customers say that their tailor made Pattaya Boat Charter was the highlight of their holiday! 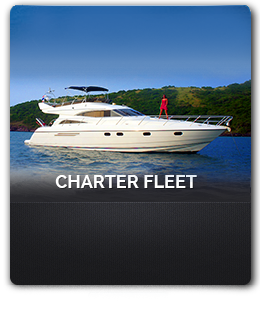 The charter Itinerary information for each boat is there to help you make an informed decision,whilst choosing which boat to charter. 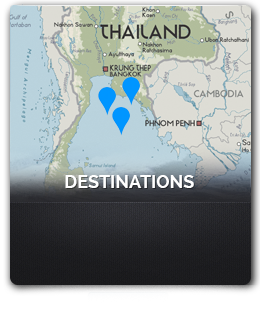 All Itineraries can be adapted to suit your needs. All trips are tailor made and any special requests we are more than happy to accommodate. We understand that your Pattaya boat charter is your special day and we at Pattaya Yacht Charters will do all we can to make it perfect. We are a European managed company that caters to your every need. Providing you with guaranteed, exceptional service. All of our staff speak English and all are highly professional.